Science studies show the whooping cough vaccine does not protect against whooping cough infection, and is contributing to the spread of this disease. Whooping cough is caused by the bacteria Bordetella pertussis and Bordetella parapertussis. The vaccine is called aP, meaning acellular pertussis, and is made from 3 components taken from pertussis bacterial cells. 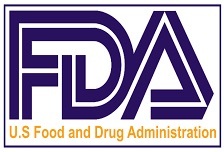 The 3 components are: pertussis toxin (Ptx), pertactin (Prn), and filamentous hemagglutinin (Fha). Some aP vaccines contain more components, such as Fim2 and Fim3. Vaccine effectiveness and duration of protection has reduced. See 4) Efficacy and duration. The vaccine suppresses the immune response to adenylate cyclase toxin (ACT), a dangerous toxin pertussis bacteria produce in the lungs, due to the phenomenon of original antigenic sin. See 5) Vaccine suppresses immune responses. Cocooning, the practice of vaccinating a new baby’s close contacts, has been shown to be ineffective in preventing pertussis infection. See 6) Cocooning. These data capture genotypic shifts, including increased pertactin deficiency, occurring amid the current pertussis disease resurgence and provide a foundation for needed research to direct future public health control strategies. From Kaiser Permanente Vaccine Study Center, Oakland – how long does vaccine protection last? The following 2010 paper from the same group compares vaccinated and unvaccinated children, all with whooping cough, for their antibody response to various pertussis components. 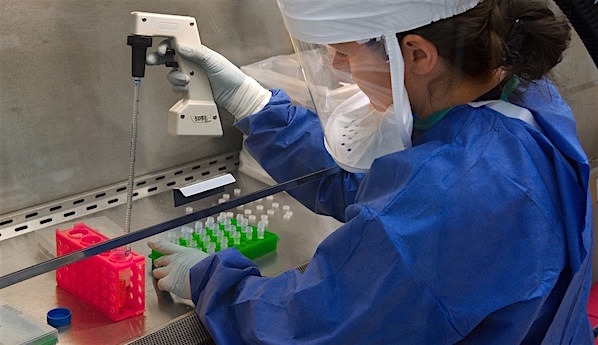 An earlier study by the group (2004) examined response to ACT, a dangerous toxin produced in the lungs by pertussis bacteria, which scientists have not at this stage found a way of incorporating into the aP vaccine. Here is the earlier paper by the group (2004). In our setting, vaccinating parents with dTpa during the four weeks following delivery did not reduce pertussis diagnoses in infants. Australian research shows the source of Pertussis infection is most commonly fully vaccinated siblings. Here in Australia, unvaccinated children are blamed for young infants becoming seriously ill or dying from pertussis. However, when we had much lower vaccination rates for pertussis, the number of reported cases was also much lower. In 1991, around 71% of Australian children were fully vaccinated and there were only 347 cases of Whooping Cough, while in 2011 with over 90% of children vaccinated, we had 38,758 cases. How can the unvaccinated be blamed for this disease spreading? In this 2014 video Professor Ann Koehler, Director of the Communicable Disease Control Branch in South Australia, explains that the pertussis vaccine does not work, so it could not protect a newborn baby in a cocooning program. So we know pertussis vaccination doesn’t prevent infections so we could not see how it could be all that good for a cocooning program that was meant to prevent infection all around a baby. [Note 1 – This abrupt and decisive change in policy might quite possibly indicate that the vaccine had been found to be not just ineffective in preventing infection or transmission but found to INCREASE THE RISK OF TRANSMISSION to newborn infants, but of course he could not say that. 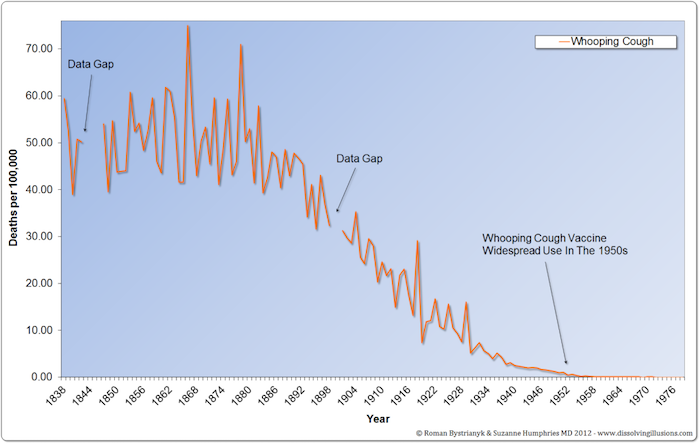 England and Wales whooping cough mortality rate, 1838 to 1978.